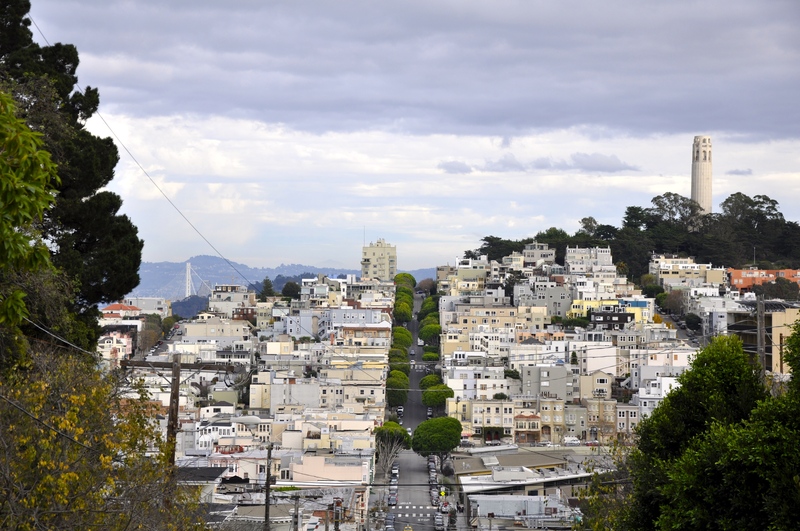 Due to the AGU 2014 conference last week being so busy, full of networking, presentations and sessions, I was only able to explore San Francisco for part of a day. I have been to this city a lot in my life, so I was happy to take my AGU roommate around to some of the best touristy parts of the city. Enjoy a few photos below! All are mine. San Francisco as seen from the top of Lombard Street, Coit Tower on the right, Bay Bridge over to Oakland on the left. 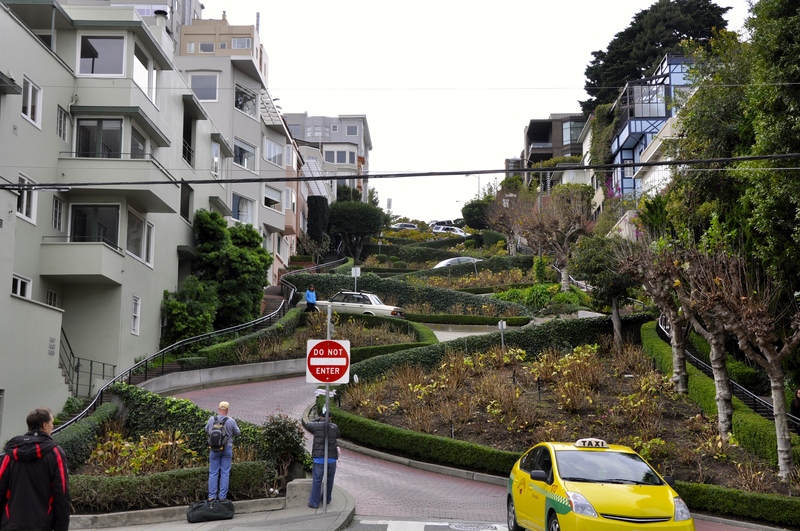 Lombard Street, the crookedest in the world!, from the bottom. 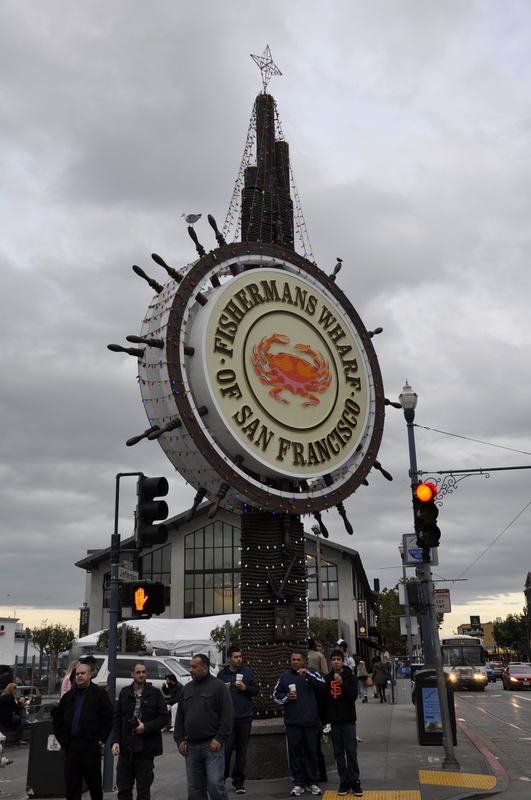 One of my favorite spots in the city, Fishermans Wharf. Why, you ask? Two reasons: clam chowder and sourdough bread. 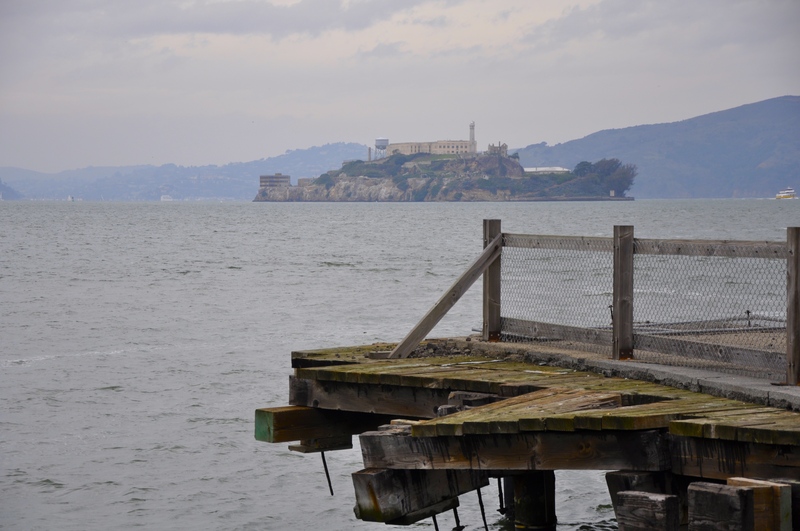 Alcatraz Island (former prison) as seen from the piers between Fishermans Wharf and Pier 39. 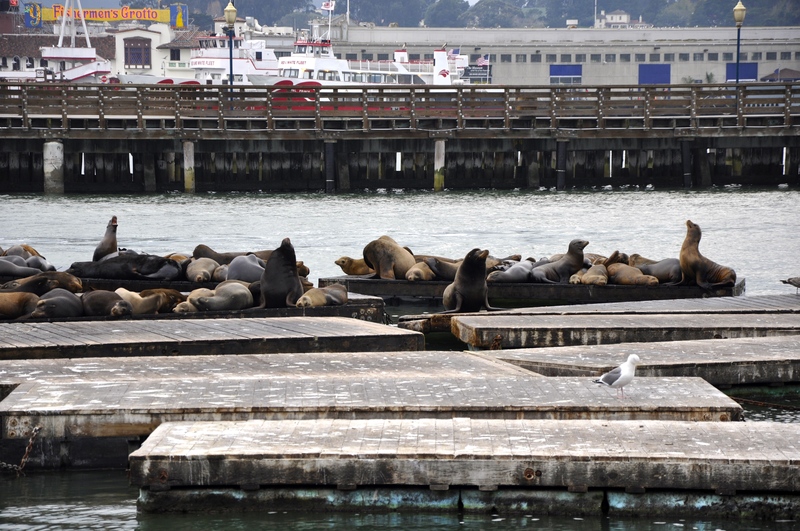 Sea lions at home, snuggled up on the docks of Pier 39.